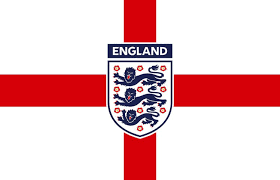 England's FIFA World Cup semi-final against Croatia is perfectly timed (7.00 pm BST on Wednesday 11th July) to clash with our planned Curry Club meeting. There's no doubt; most of us, even the most dedicated Rugby fans, will be somewhere near a television. We'll all be hoping that England can repeat their performance against Sweden and win without needing penalties to decide the tie. So no formal Curry Club meeting, but members are welcome to join me at the Fox and Pelican on Tuesday at 7.30 pm for a beer which we'll follow with a curry at one of Grayshott's restaurants. If you plan to be there (or not), please let me know. Please use the feedback page on the website or reply to the mail that is shortly to be sent to members so that I can make a booking. Normal service to be reserved in August - I hope!